Indigo Chloe Skinny Jeans is rated 3.2 out of 5 by 6. Newly improved to look better than ever before, our signature 'Chloe' skinny jeans are officially back! 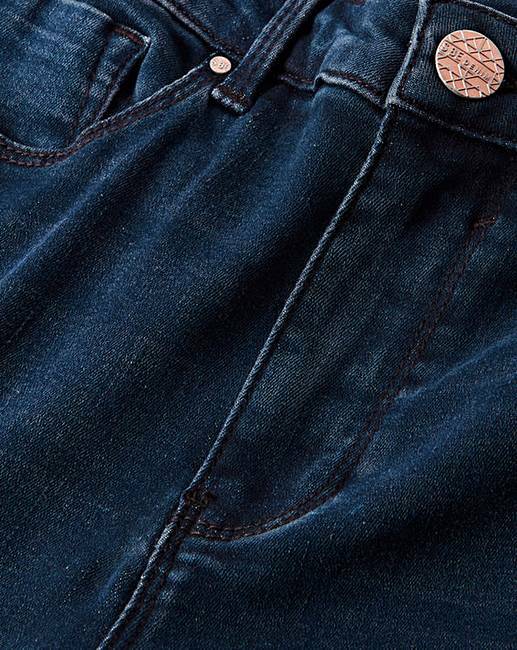 Designed to sit mid-rise, fitting snug on the leg all the way down to the ankle, these jeans have been given a fresh new update that you'll love. The super soft, stretch denim fabric feels like a second skin, meanwhile the classic skinny fit streamlines your legs to create the illusion of a more slender silhouette. To complete the look, team with a brightly coloured t-shirt and throw a cute denim jacket over the top. 30% of the purchase price will be donated to Breast Cancer Now, a working name of Breast Cancer Care and Breast Cancer Now, a registered charity (Nos 1160558, SC045584 and 1200). Fashion Targets Breast Cancer is Licensed by the Council of Fashion Designers of America, Inc./CFDA Foundation, Inc., U.S.A. Rated 2 out of 5 by BigBird1110 from Fit ok but doesn’t look like the image. I’m a bit disappointed with these jeans. Well, I say jeans but they are more like Chinos. They don’t look even remotely like the ones the girl is wearing in the image. They are a flat navy blue, not slightly washed with whiskering like in the image. Simply Be has a habit of using images that don’t reflect the item you are buying. I don’t like the colour of these at ALL. They aren’t like the image at all and I will be returning them. 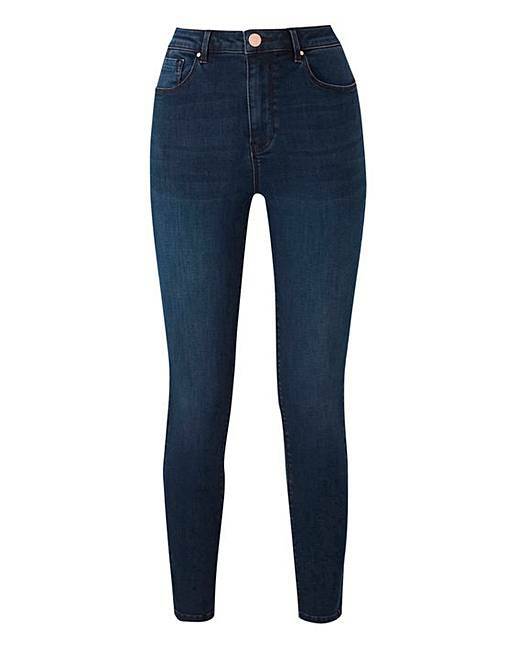 Rated 5 out of 5 by Catherine71 from Great Jeans These are lovely jeans. They fit really well and are nice and comfy! They did loose quite a lot of colour in the first wash so perhaps best to wash separately!!! 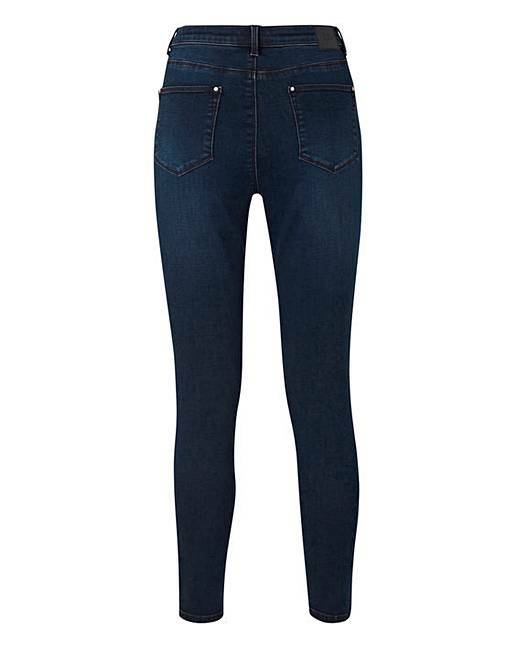 Rated 5 out of 5 by Lozzy88 from Great buy Fab jeans, they look great on. The pockets are tiny far too small for my phone just to let people know.